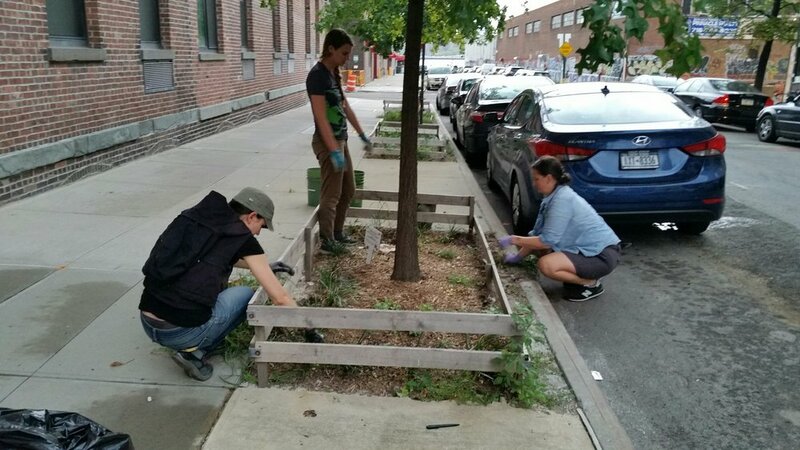 Greenpoint community members came together to care for trees on Java Street! The volunteers learned hands-on tree care: weeding, cultivating soil, spreading mulch, and watering. Thanks to the volunteers for their hard work; a total of 21 trees were stewarded!